Every spring produced by H&R comes from the H&R ISO 9001 certified engineering and manufacturing facility in Germany. All H&R springs are produced from a special 54SiCr6 spring steel, which has strength rated at 290,000 psi resulting in unrivaled tensile strength and resiliency. 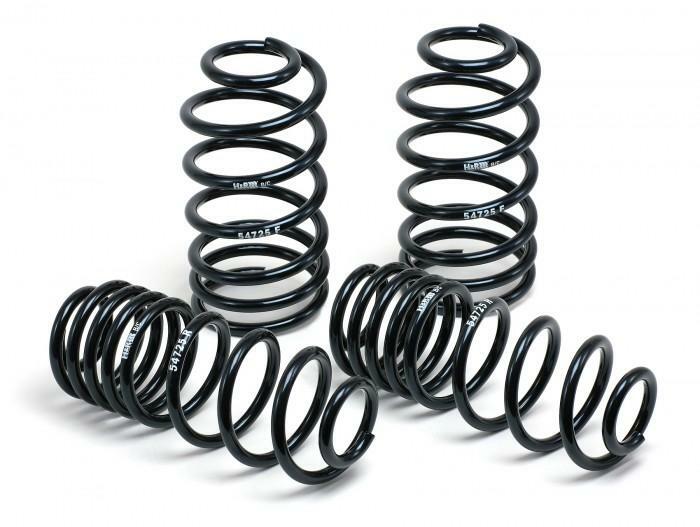 H&R Sport Springs offer the handling characteristics and aggressive appearance that youve been looking for, without the harsh ride characteristics of less-advanced spring systems. H&R Sport Springs feature more control and are engineered for the street, making them comfortable and fun to drive. H&R Sport Springs are crafted from a special 54SiCr6 spring steel to ensure quality and performance. I purchased "Carrand Whisk Broom 10'' W Label",after exhaustive research for this particular item...they have the BEST/LOWEST COST for this item anywhere!! Shipped in a timely manner too! Will do business here again in the future,as they have prices that are LOW,plus the great products are found here too. Thanks to the staff for a great online shopping experience! Lowest price on EBC brakes for my Subaru. Good speed on processing. Placed order #27494 for some bumpstops. Came out $40 cheaper then i could get with reseller discounts elsewhere. Great item, shipped quick, very satisfied.